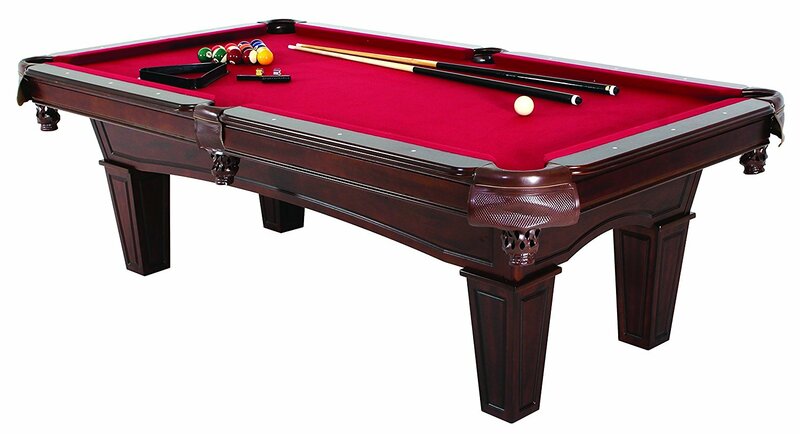 Table games add fun and excitement to any home. If you have a competitive family, you know just how much wear and tear your games can go through. In order to keep your games lasting as long as possible, there are some simple maintenance tips that you should add to your normal home cleaning routine. Here are some great tips on how to maintain your games and how T&R Sports can help. The felt on billiards tables can easily become scratched and torn if you’re not careful. One of the best ways to maintain your billiards table is to teach new players how to properly hold the cue stick and strike the ball. Inexperienced players can lose control of the cue stick and drive it into the felt, which can scratch and tear it. Using chalk is a great way to prevent the cue from slipping off of the ball and ending up in your felt. Chalk adds friction to the tip of the cue, allowing it to properly grab the ball when striking. If a ball ends up off the table, inspect it to make sure there are no chips in it. Using a damaged ball can scratch and wear down the felt. Table tennis is a fun, fast-paced game that involves a lot of action. Be sure to only use regulation table tennis balls. Balls that are heavy can cause damage to your table after repeatedly striking the surface. Anchor your table firmly to the ground so it does not move during play. A table tennis is not designed to carry a lot of weight, so don’t use it as a storage solution. The lightweight table material is specifically designed for maximum bounce, not for holding your household items. Air hockey runs on electricity, meaning your table needs access to a proper outlet for it to work correctly. The surface of the table can come in a wide range of materials, from clear plastic to high-end glass. Small holes are drilled evenly across the surface to reduce the friction of the playing surface. One of the biggest mistakes homeowners make is getting the air hockey table wet by allowing drinks around the table. If the drink spills on the table, the liquid seeps down through the holes across the surface, which can ruin your air hockey table. Foosball is one of the most exciting table games to play – with all that excitement comes a great chance of damage. Much like billiards, improper playstyle is the most common cause of damage to a foosball table. New players have a natural tendency to aggressively spin their players in order to hit the ball as hard as they can. That causes a lot of stress and friction to the table and is the top cause of damage to foosball tables. Not only will spinning damage the rods, rendering your table useless, it’s actually against the official rules of foosball. A rotation of the rod by 360 degrees is counted as a spin, which is an illegal move in foosball. Learning the correct way to play foosball will improve your game and keep your table damage-free. Damage is inevitably going to happen, and when it does, the team at T&R Sports is here to help. We aren’t just a manufacturer, we are a full-service provider as well. We have a team of repair specialists waiting to help you with your damaged tables. If your table game has become damaged, contact our team today to discuss repair options.